Lake Tahoe has a special place in our heart: it was our first hiking trip in the US and we fell in love with it immediately. 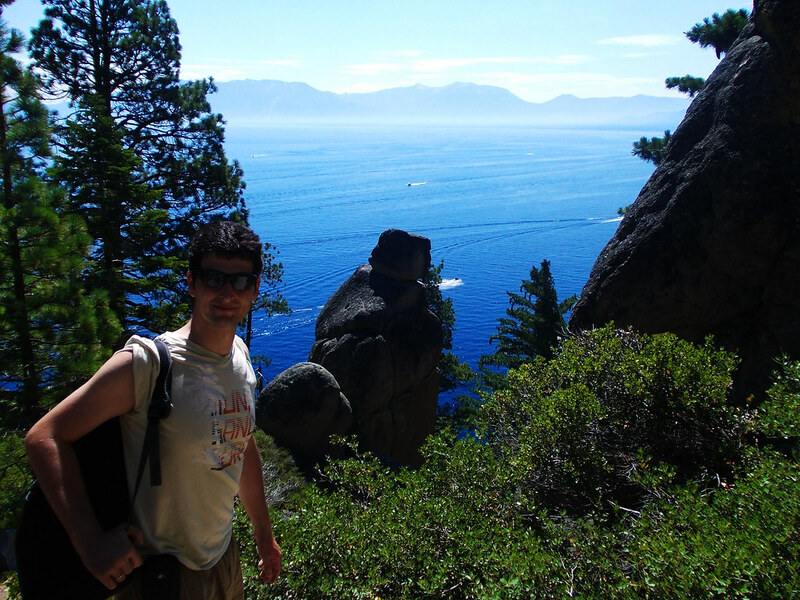 When we talk about Lake Tahoe, we don’t only mean the lake – though that itself is worth talking about, because it’s one of those incredibly blue and crystal clear and deep alpine lakes and it’s very big, too – but we also mean all of the hiking trails starting in the area around Lake Tahoe. If you are thinking about hiking in the Sierra Nevada, Lake Tahoe should definitely be on your list. Exploring the shoreline hikes and all the countless smaller, hidden alpine lakes in the area can be an endless adventure for outdoor lovers. Why is Rubicon Trail special? 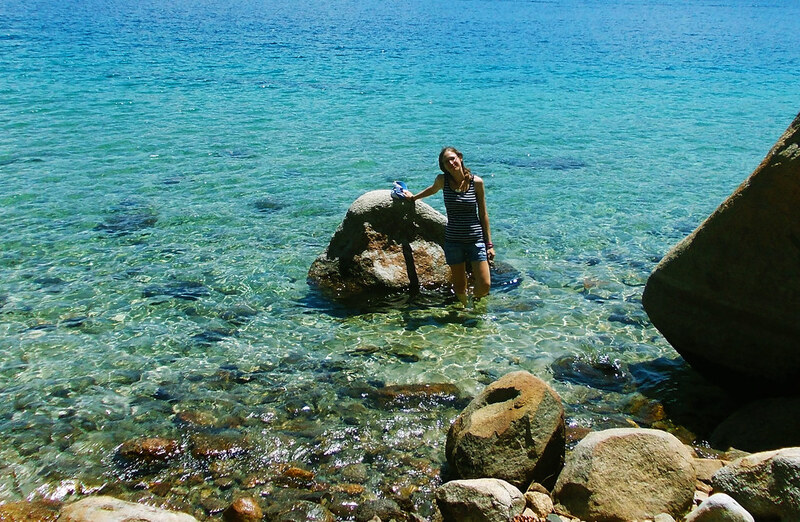 Rubicon Trail is a pretty popular and busy trail and there’s a good reason for that: it’s the best shoreline hike along Lake Tahoe, it offers the best close views of the lake and also several access points to it. 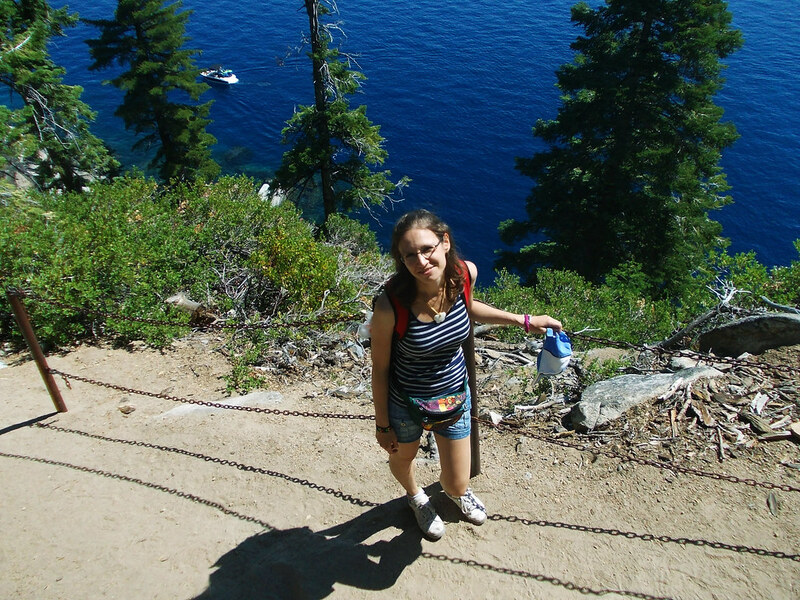 We didn’t hike Rubicon Trail all the way, just a 4,5 miles section from D.L. Bliss State Park to Emerald Bay State Park and turned back somewhere around Vikingsholm. The entire hike is 6,5 miles one way and it can be absolutely done as a day hike. We shortened it because we wanted to chill out on the beaches and there’s few things what we hate more than hurrying and heavily packed agenda, so we took our time. There’s amazing vista points along Rubicon Trail and there’s several access points where you can walk down to the lake. One of the access points is Emerald Bay itself, where you can even take a boat ride to cute Fannette Island in the middle of the bay. Turn to Lester Beach Road from Emerald Bay Road and this will take you to D.L. Bliss State Park’s parking lot. Rubicon Trail starts from the parking lot. We actually started our day on Lester Beach which is accessible by stairs from D.L. Bliss State Park’s parking lot. 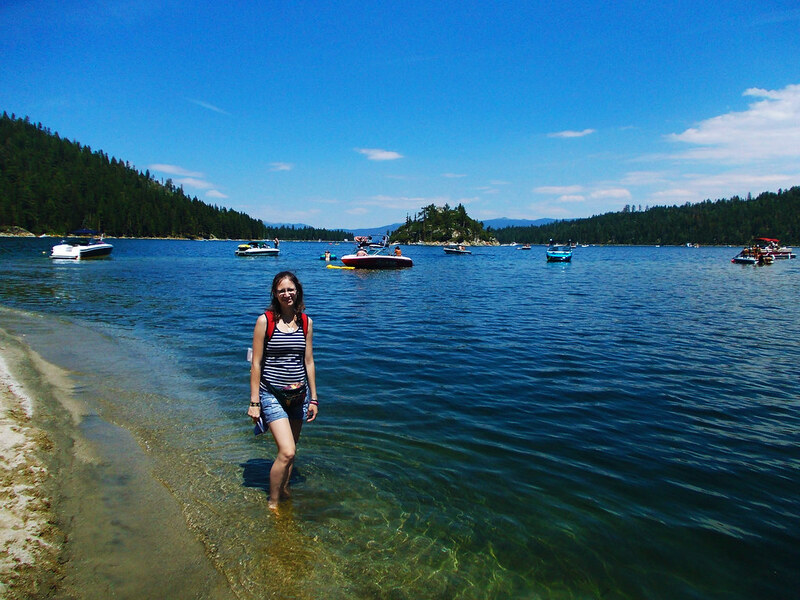 It’s a wonderful beach and we even planned to swim in Lake Tahoe there. We knew it’s cold year-round, it’s a 501 m deep alpine lake after all, but it was the peak of July, so why not try it? Located in the Sierra Nevada at a surface elevation of 6225 feet (1897 m) winter definitely exists at Lake Tahoe and it’s cold and snowy. The hiking season lasts from late May until early September and the weather is usually sunny and hot during the day in this period. There’s plenty of options: a lot of campgrounds in the area and hotels of any kind in the nearby towns like South Lake Tahoe, Tahoe City, Incline Village – just to mention few of them. Summer is busy though, so you better book accommodation well in advance. Want to read more about beautiful day hikes in the Sierra Nevada? This is your place then! 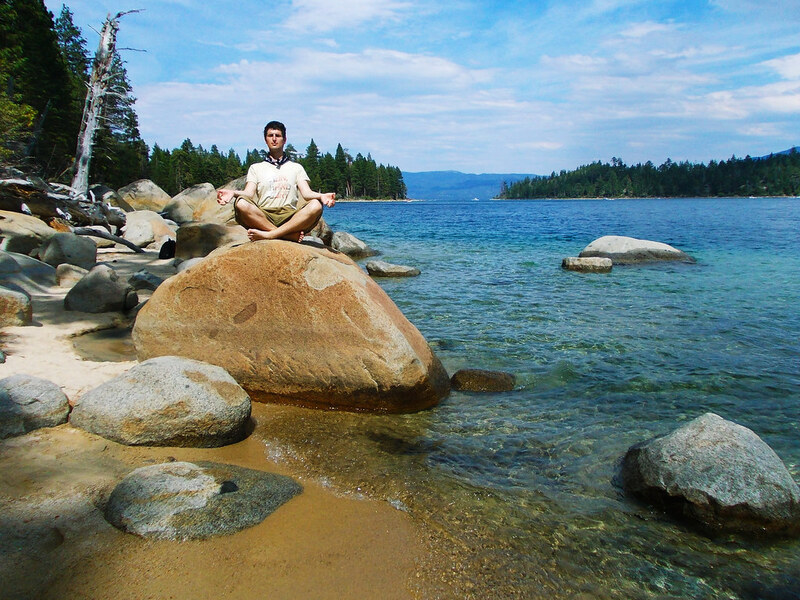 Would you visit Lake Tahoe? Previous post Long Weekend In Washington, D.C.